Group Discussion Ideas > Social GD Topics > Cap on wedding expenditure – Is it fair? Cap on wedding expenditure – Is it fair? A private bill to curb wedding expenditure was introduced in Lok Sabha on 16th, February 2017. This bill proposed to impose 10% tax on wedding expenses, if exceeds 5 lakh rupees. It also highlighted the food wastage issue in wedding ceremonies. This bills proposed to limit number of guests, number of guests served. Indians, irrespective of their financial status spend heavily on weddings. This bill may result in cutting down unnecessary expenses in marriage ceremonies. 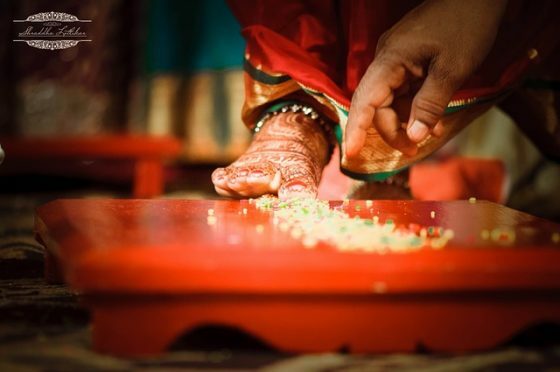 There is a societal pressure in India to spend heavily on marriages. This is a burden to many middle and poor class people. If this bill is implemented, we will have a choice to show excuse to escape from the societal pressure. The 10% tax collected will be used for conducting mass marriages of poor people. Money will not be wasted, rather it will be spent on other useful purposes. On one side, many are dying of hunger and on other side huge amount food is being wasted. With this bill, food wastage will be curbed. Black money holders spend their black money in ceremonies. By tallying the wedding expenditure with their income, black money can be caught. Solid waste generation will be reduced. No one has right to question the spending of our hard-earned money. We are already paying income tax. Tax on our expenditure is double taxation, so not ethical. The taxes on products is always paid indirectly by consumer. So, we are already paying taxes on wedding expenses. Grand weddings are in fact a boost to economy. They create markets and many temporary jobs. Donation should not be forced. It must be voluntary. Expenditure on weddings highly depends on the financial status and locality of the family. The costs of weddings will be higher in urban areas, due to the high costs function halls, tents etc. Generalizing the limit as 5 lakhs is unfair. 5 lakh limit is too low in the times when cost of everything is rising. It will create opportunities for unethical government officials to demand bribes for concealing facts. It will be a tough task for parents to note down all expenses along with bills to submit the report. There is no guarantee that this will reduce the expenditure on weddings. Instead, it may become an additional burden. Some people may want to invite everyone they knew to their wedding. Limiting number of guests is against to personal freedom. This is not the first time to propose a bill on limiting the wedding expenses. Several bills were proposed on this issue starting from 1996. ‘Jammu & Kashmir’ already implemented a similar kind of bill that limits number of guests to 500. In Pakistan, no. of dishes in marriages served is limited to 4. In Afghanistan, number of guests should not exceed 500. And there is also cap on the expenditure per guest. Highlighting the problem of food wastage is good, but imposing rules on how we spend our money is definitely infringement of our personal liberty. Donation should be voluntary and must not be forced. Do you think wedding expenses should be restricted? Express your thoughts in the comment section below. According to me cap on wedding expenditure is very good step, because of rich people like celebrity , big business man , ministers when their children they get married they have limitless expenses and thousands and thousands invitees. Actually they want to spend their unaccounted money if Govt.pass the rule of expenditure exceeds Rs.5 lakhs they have to pay 10 percent Tax, then there is no problem rich people can spend as per their desire. Secondly if rich people cut their unnecessary expense and help poor people to mass marriage then it will be helpful for them.Every parents they have desire their children will get married . Thirdly wastage of food this is not good because in our country many people hungry and starvation to death so food should not be wastage. Are you sure? Who will pay taxes on undeclared profits? Let them spend their money as there is always indirect taxes on what they spend, more over it is good for all those involved from start to finish. Good business.